If you own an unusual animal the time will come when you need to transport them. How is this done and what is the safe way for your pet to reach its destination? When travelling with any animal there are certain considerations to consider before setting out. Unlike the human owner it is not possible to jump into a car, train, plane or bus. 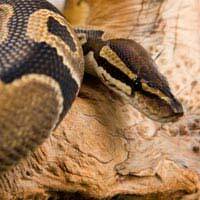 Owning a pet, particularly an unusual pet needs careful planning. Any pet when travelling needs to be secured in case of accident. If you are travelling in a car with the animal, a cage, crate, secure container or specialised seat belt needs to be fitted. The animal may not be used to travel and could be car sick so never feed them before a trip and keep water to a minimum. In warmer weather try not to travel with your pet in a car, heat can kill animals when human just feel uncomfortable. If this is inevitable then plan the journey with the pet’s comfort in mind. Open windows may be cool but the draft can upset an animal in the back of the car and is also a way of escape if the animal is frightened or there is an accident. Air conditioning is fitted in most modern cars and the care should be cooled before you set off. In hot weather never let an animal drink too much water, little and often is better.When stopping do not leave the animal in the car but take him with you. A car can turn into an oven in minutes and many pets each year die when left in hot vehicles. When travelling with an unusual animal ensure that the animals insurance covers travel in case of injury, ill health or theft. It may be that you do not drive and your animal needs to attend a veterinary surgery. The vet will be able to tell you of a local pet taxi service but ensure that they know it is an unusual animal that they are expected to transport. Cats and dogs are normally their regular passengers and to be faced with an alligator or a boa constrictor could be daunting. In an emergency your own vet will arrange to collect the pet from your home. When travelling by public transport expect to be asked to purchase a ticket for your pet, especially if they are in a cage or box that will take up a seat space. It is at the discretion of the travel company whether your unusual pet is allowed on board. When travelling overseas make sure that your pets are allowed into other countries or indeed back into this country. Although certain countries may accept entry of unusual animals it is better to check with a travel guide, tour operator, your vet or even the country’s embassy before setting out. If you are still in doubt check with DEFRA who will be able to advise on the latest regulations for your travelling animals.